If someone else looked at your phone, what do you think your phone would say about you? How many pictures, contacts, apps, do you have on your phone and what kind? I would garner to say that the majority of the apps on your phone stem out of convenience or want thereof. In this day and age, everything is about convenience and with everyone’s lives becoming increasingly busier, this is completely reasonable. Something has to got to give. Some of these apps I’m sure are based solely on convenience and are quite impersonal (looking at your Uber) because you don’t need any personal connection for it to work. You don’t need to know or like your Uber or Lyft driver really, you just want to make sure you get from point A to point B in a timely and safe manner. And you want all of this without an uncomfortable conversation (been there, believe me). Then there are the apps that are convenient, but also personal, such as Instagram. Instagram is personal because people are sharing parts of their lives (as filtered and planned as they may be) with the world. People are giving you and inside look into their daily lives and that makes it very personal. You may use the app to keep up with friends and see how they are doing or to get to know some of your favorite brands and businesses. All of these are personal and maintain some form of connection. Convenience is great, but also having that personal touch and customized experience is what we, as humans, live for. We crave human interaction, and apps are steadily becoming the way that we satisfy this base need. Apps provide convenience, yes, but they can also provide value to you. You order a product online or via app and have it shipped to you, that’s convenient, but also valuable. Why? It saves you time, that you could be using or devoting elsewhere. The same goes for luxury services, as they provide value to you by providing those services at your convenience. That’s exactly why I thought my company, Elwynn & Cass, LCC (aka E.C. Stylebar), would be great to be part of an app like Splurge, since Splurge allows you to have the convenience and luxury. Our goal as a company and with Splurge is to take the guesswork out of scheduling and organizing beauty professionals for your occasion. I am pretty sure, we all love to get gussied up and feel glamorous on occasion, so it’s nice to be able to go to someone, tell him or her what you are looking for, and they do all of it for you. There is value in providing luxury goods or services at one’s convenience, but also providing them with a personalized experience. There is no guesswork, because you can customize what you are looking for. As with my beauty concierge service, you tell me what you need and I match the best artists for the experience you are looking for. 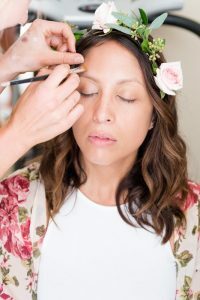 So whether you need a hairstylist that can give you that glam look, or a makeup artist to make you look like a total beach babe, every service and event is customized to your preferences. My business, in collaboration with Splurge, saves you time and you know you will get an experience completely unique to you, because honestly you aren’t like everything else, so you shouldn’t be treated like everyone else. Elwynn & Cass, LCC (aka E.C. 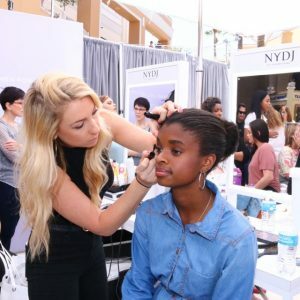 Stylebar) is your beauty concierge service. We organize and schedule beauty services for all occasions and clients throughout Southern California. We match the best artists for your occasion based on the experience you are looking for.